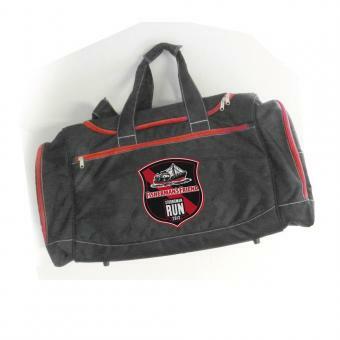 Welcome at the new FishermansFriend StrongmanRun Webshop | FFSMR Sportsbag | Enjoy it! The FFSMR sports bag features four easy access zip pockets. It is ideal for those who want to travel light with a well protected underneath. Big enough for all kind of sport or travel activities. kinds of sport and private activities.